Mobile racking system is capable of increasing storage capacity by add itional 80% in comparison to the Static Selective racking system. 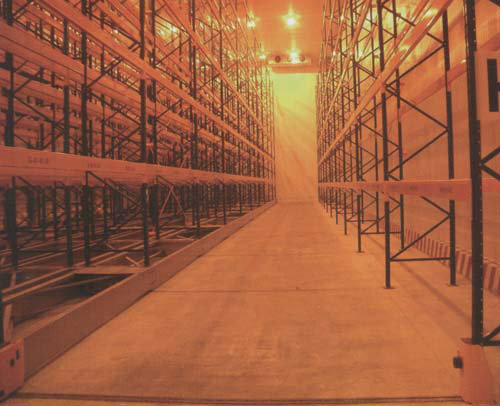 The racking is placed on a guided mobile base that moves closer to one another, opening the aisle that is required . These bases can be controlled using remote control systems by using low maintenance electric motors. The mobile bases run on the Rails perfectly in-laid into the floor.